On my car, where does the data plate mount? Where is it supposed to be located? 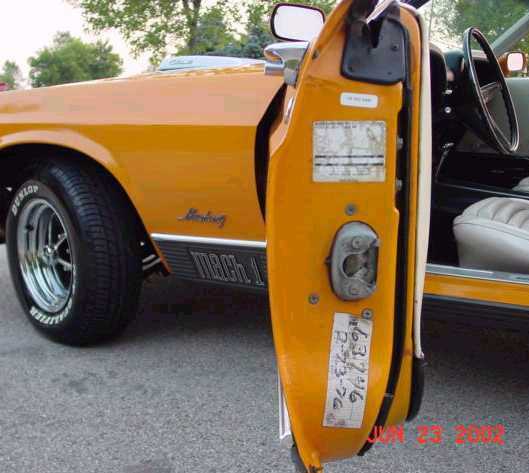 In general, up until the 1970 model year, for most vehicles the data plate mounted on the driver's door near the door latch as seen on this 1969 Mustang. 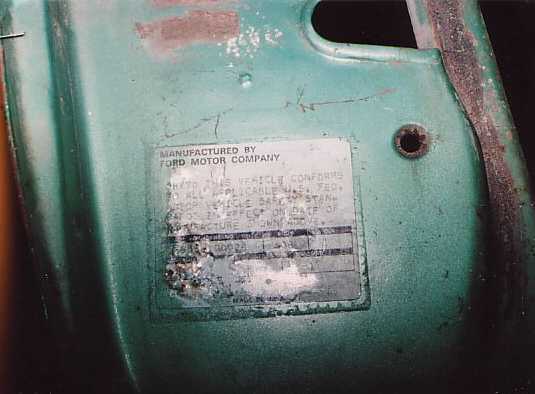 For 1970 and later model cars, a mylar tag was used, generally mounted on the door above the striker plate as seen on this 1970 tag of a Mustang. The 1971 through 1973 Mustangs and Cougars were located as shown in the picture below. 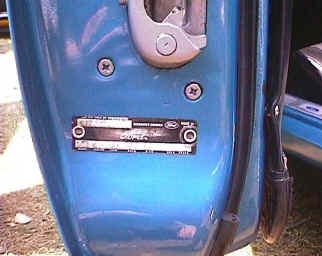 Most other cars were mounted similarly, but some vehicles mounted these on the mating surface on the driver's side quarter panel near the latch striker.